Web Werks, a prominent data center, cloud and managed services provider in India recently announced Tally as a service for their customers. Web Werks Tally on Cloud provides an economical, efficient and secured way to use Tally from multiple locations without limitations and high-level Infra security for financial data (remotely). 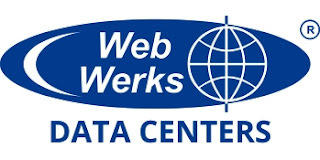 Web Werks Tally hosting services are often referred to as a business analytics platform that combines cloud, data insight and unified decision support, along with your organization's most critical asset i.e. human intelligence. Web Werks Tally solutions are designed with beneficial features that are light weight, super secured and seamlessly scalable. Web Werks Tally on cloud price includes RDP/Tsplus license with no hidden cost in the plan, True 3 copy SSD storage. Web Werks Tally solutions allows you to take the full admin rights over your server so that you don’t fall short on any authority or privilege issues. You can easily Start, Stop, Restart your Server. Web Werks complete reliability, high level of security, 99.995% of uptime powerful servers, 24x7 support and lowest latency make Web Werks Tally solutions more efficient and effective.